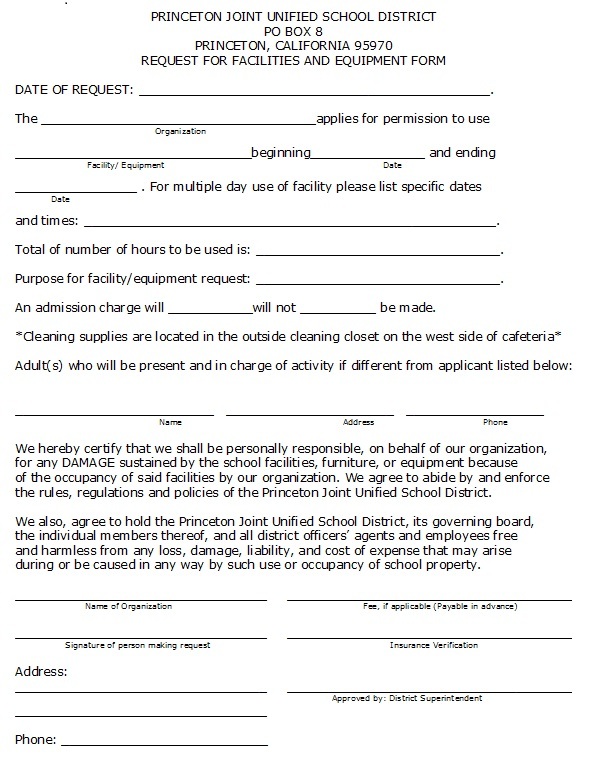 In order to request the use of a school facility it is necessary to complete a request form for Use of District Facilities. The request can be obtained in PDF form by clicking on image below. Complete the application fully and email to jtowne@glenncoe.org, fax to 530-439-2113, or return to the district office. If the date(s) requested is available the on-site administrator will sign the application and notify you of approval or disapproval. Please contact the school sites with questions about the fees for use of school facilities and insurance requirements. Thank you for inquiring about the use of Princeton Joint Unified School District.